I listed J.C. Chandor's follow-up to All Is Lost as my tenth most anticipated release for what is essentially the Oscar season of 2014. Though it is highly unlikely that I will actually get to see the film before the end of this year I am still very much looking forward to it and what it might do with its Award chances. Featuring not only what looks to be an electric performance from Oscar Isaac, but also one of the many great, in a wave of performances this fall, turns from Jessica Chastain. Chastain simply has an electricity about her and a passion that oozes into her craft and if this short clip of a trailer gives us anything it is the level of passion both she and Isaac have brought to their characters here. Chandor has written an original screenplay centered around an American immigrant (Isaac) and his wife (Chastain) who are trying to expand their business in New York in 1981 as violence and corruption threaten to destroy all they've built. It should also be mentioned that statistically, 1981 is one of New York's most violent years in the history of the city. The trailer doesn't give away much as it takes us more through the escalating structure and the intensity that it will carry rather than giving away any major plot points or flashy scenes. Personally, I like it this way and the trailer serves its purpose in only getting me more interested and anxious to see a film that I was already excited for based on its credentials alone. After Margin Call and All is Lost, Chandor seems poised to really make his mark with this third feature. A Most Violent Year also stars David Oyelowo, Albert Brooks, Alessandro Nivola and opens in NY and LA on December 31st. 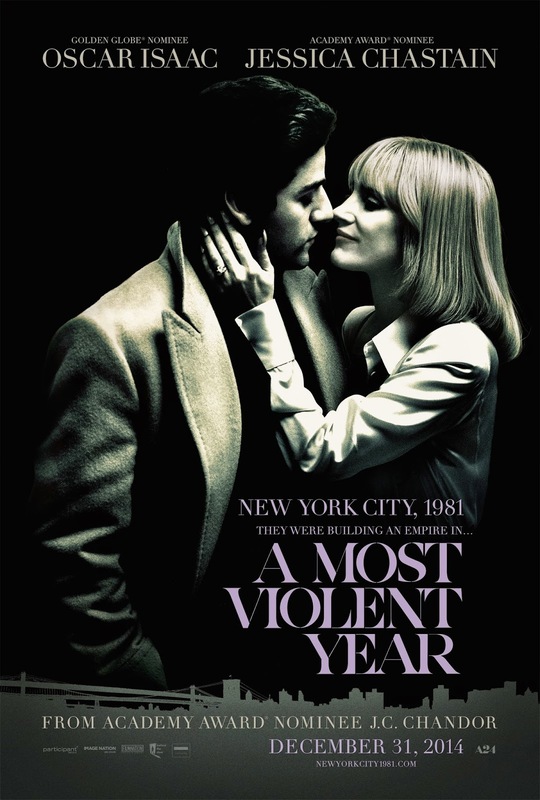 Synopsis: Set during the winter of 1981 — statistically one of the most crime-ridden of New York City’s history — A MOST VIOLENT YEAR is a drama following the lives of an immigrant and his family as they attempt to capitalize on the American Dream, while the rampant violence, decay, and corruption of the day drag them in and threaten to destroy all they have built.